4,040 suites, refreshment centre, 3 flat-screen Tvs, Internet (charge - part of resort fee), air-con, 24hr room service, sunken living room with full-size sleeper sofa (available on request). Guest suites are designed in modern European style, with sunken living rooms; Italian-marble baths; living rooms, and bedrooms. 21 restaurants & bars, Tao nightclub, 2 showrooms, casino, 5 swimming pools, 2 whirlpools, gym, Canyon Ranch Spa Club, gondola rides, Madame Tussaud’s Wax Museum, The Grand Canal shops. With a plentiful array of entertainment, dining and shopping, it is sure to impress. The Canyon Ranch Spa Club features not only a gym and beauty salon, but also a rock climbing wall. Twelve fine dining restaurants are complemented by a further nine casual eateries. 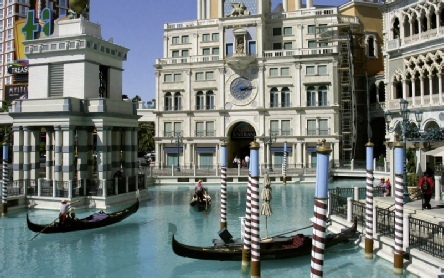 The spectacular Venetian Resort Hotel delights guests and visitors alike with its wonderful attention to detail. Themed on the beautiful Italian city of Venice, its canals, sidewalk cafés and gondola rides bring a touch of romantic Italy to the deserts of Nevada. The hotel boasts all-suite accommodations. 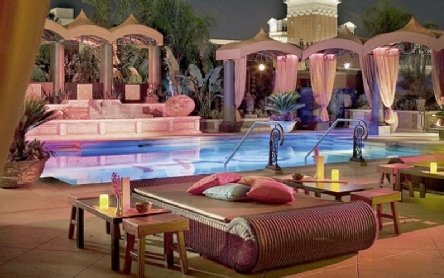 2019 package holidays to the Venetian Resort Hotel, Las Vegas Prices are per person based on two sharing, including flights and accommodation (plus transfers in Caribbean destinations), and are subject to availability. Flights from Gatwick - other departures also available, call for details.